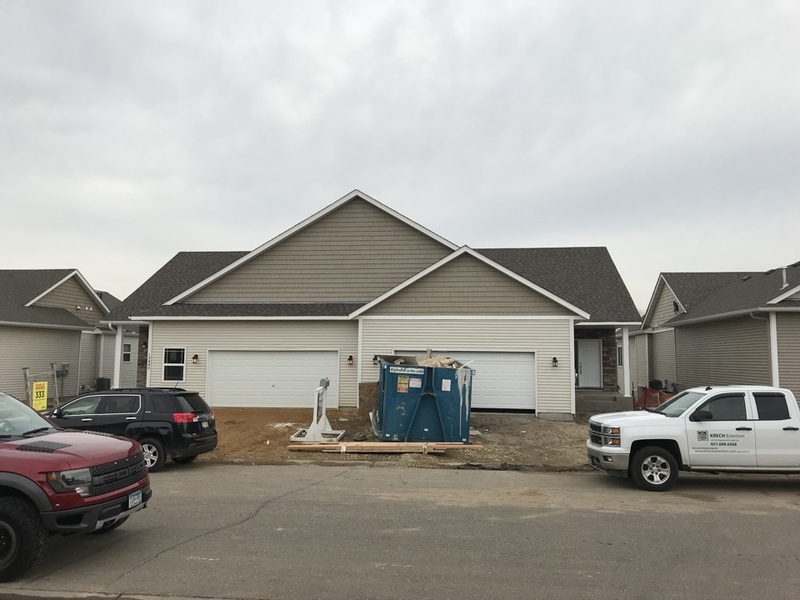 New construction town home with vinyl lap siding, vinyl shakes, and aluminum soffit and fascia. 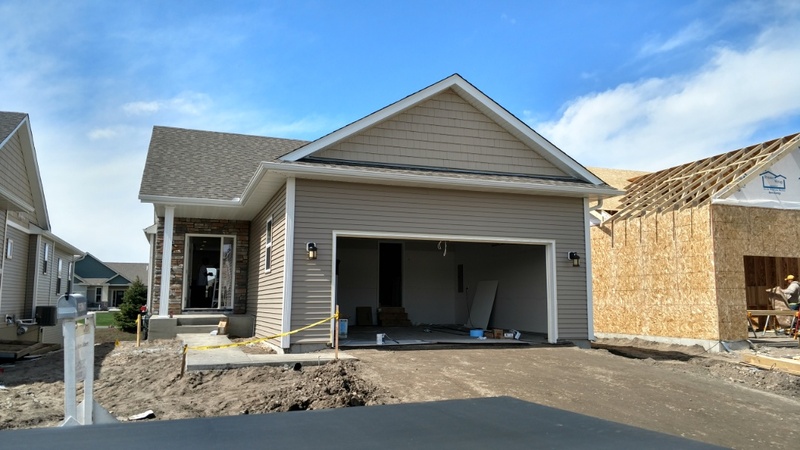 New construction home with vinyl lap siding, vinyl board and baton on front. Aluminum soffit and fascia. 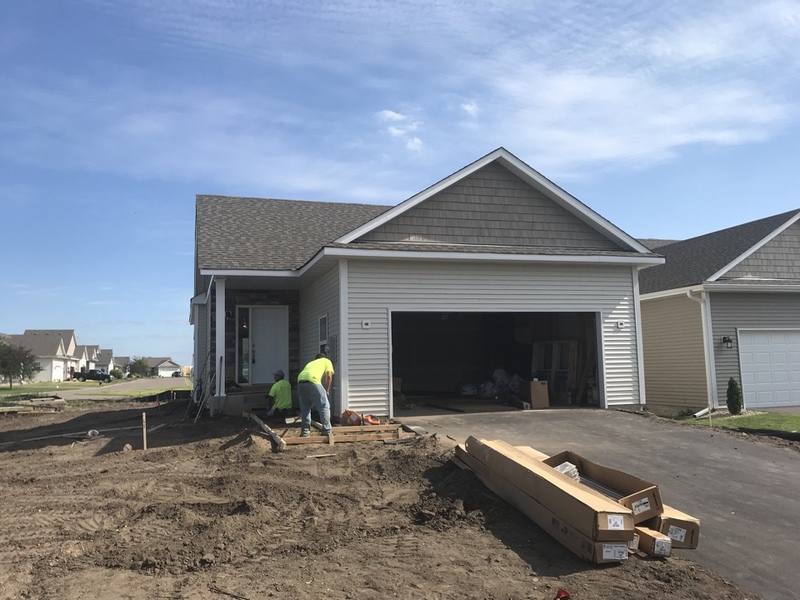 New construction home with vinyl lap siding and vinyl shakes. Aluminum soffit and fascia. 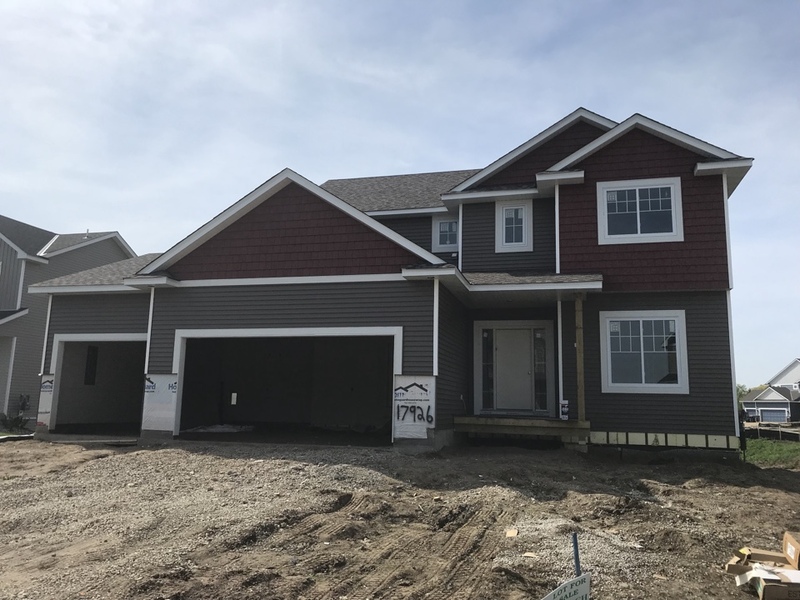 New construction home with vinyl siding said vinyl shakes. Aluminum soffit and fascia with LP trim bands on the front. 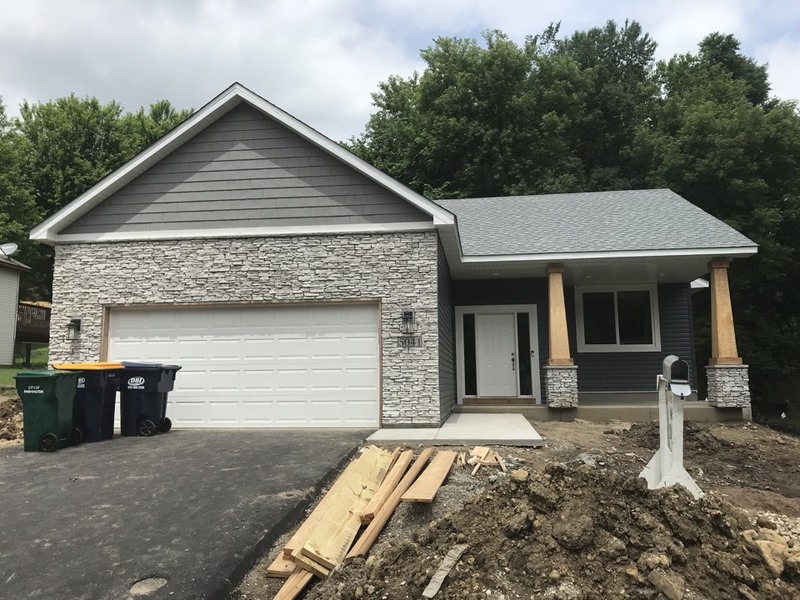 New construction home with vinyl lap siding, vinyl shakes, and aluminum soffit and fascia. 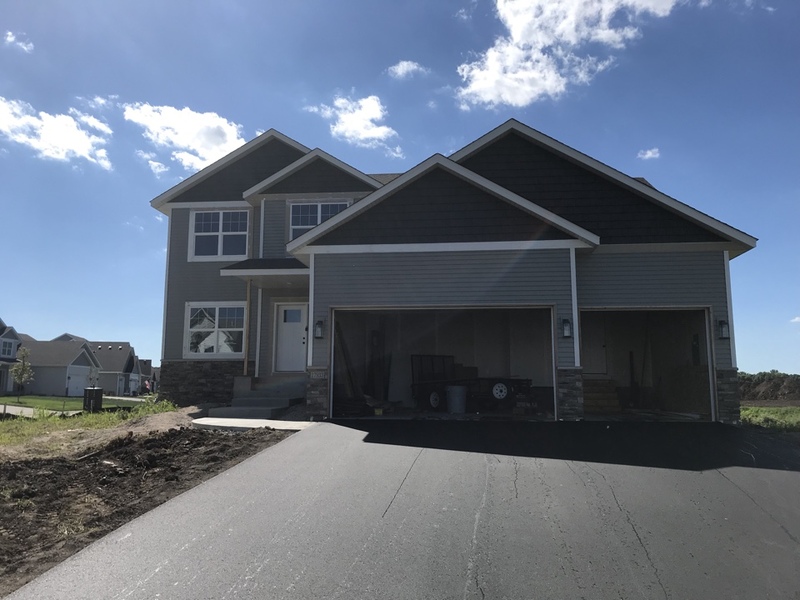 New construction Villa townhome in Farmington vinyl siding with final shakes on the gable ends. 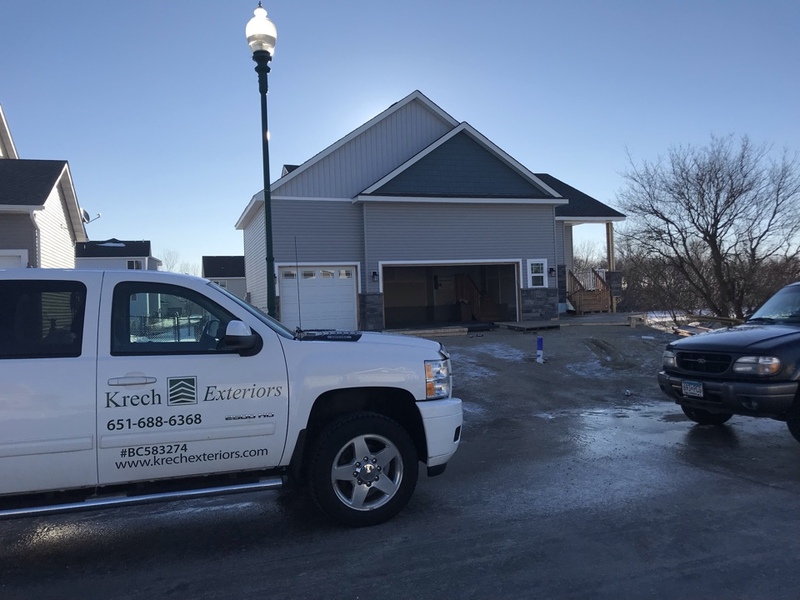 Another nice new construction vinly siding job done by Krech Exteriors. Installed vinly lap siding with vinyl shakes in the front gables. Installed aluminum soffit and fascia. 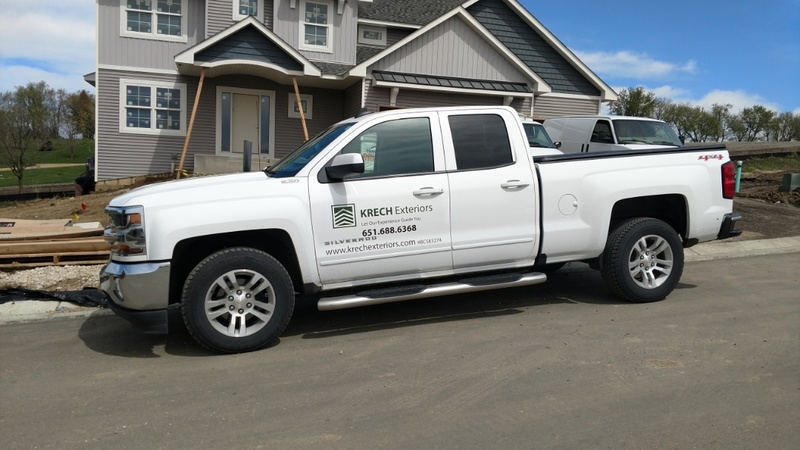 Another nice New Construction Exterior done by Krech Exteriors. 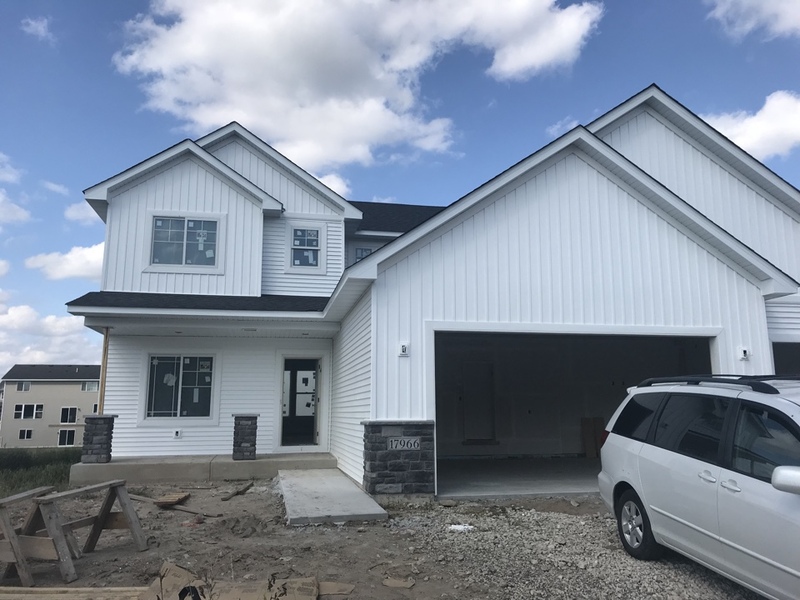 Vinyl lap siding with Vinyl Shakes in the gables. 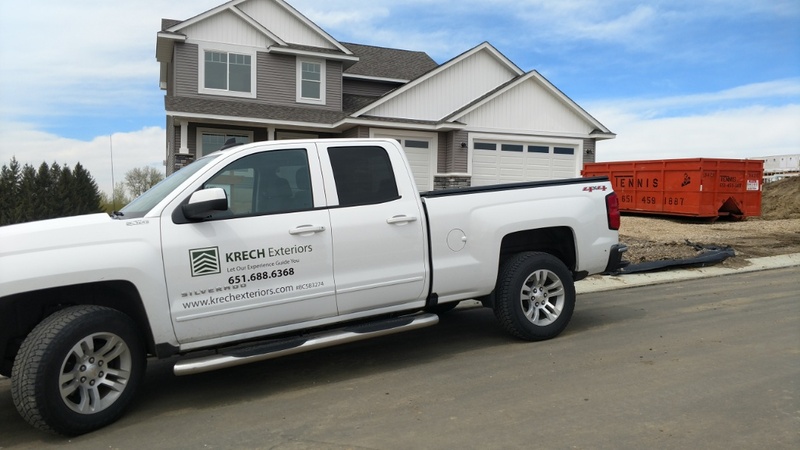 Aluminum soffit and fascia with aluminum gutters and downspouts. 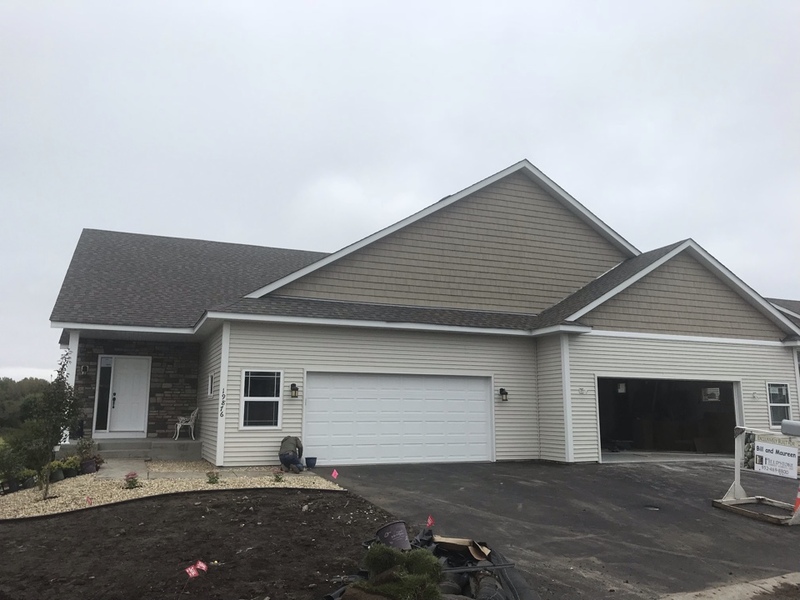 New Vinyl siding job. 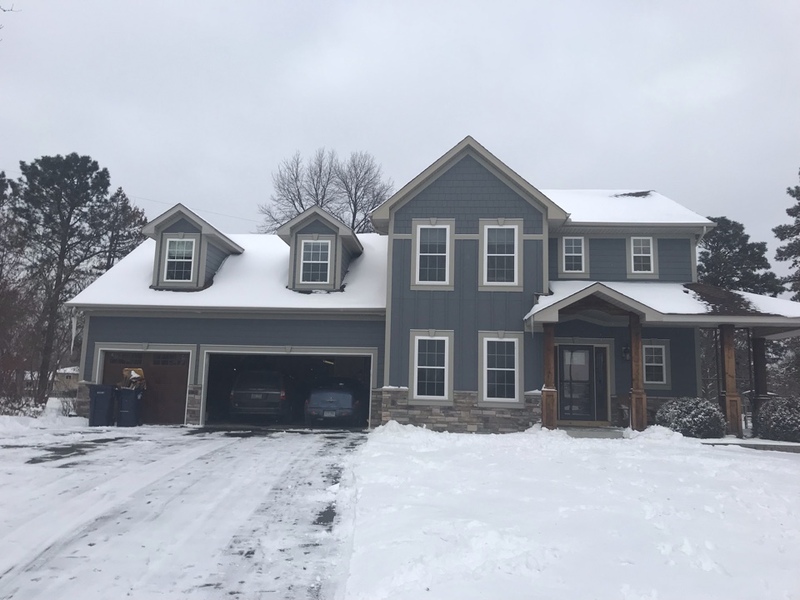 Installed new D-4 vinyl siding, color "Harvard Slate" with vinyl B&B soon front gables, color "White". Installed new white aluminum? soffit and fascia. 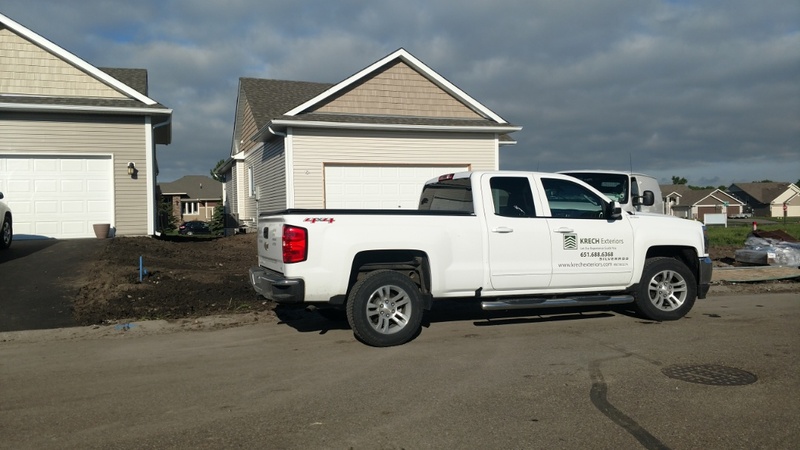 New vinyl siding job. 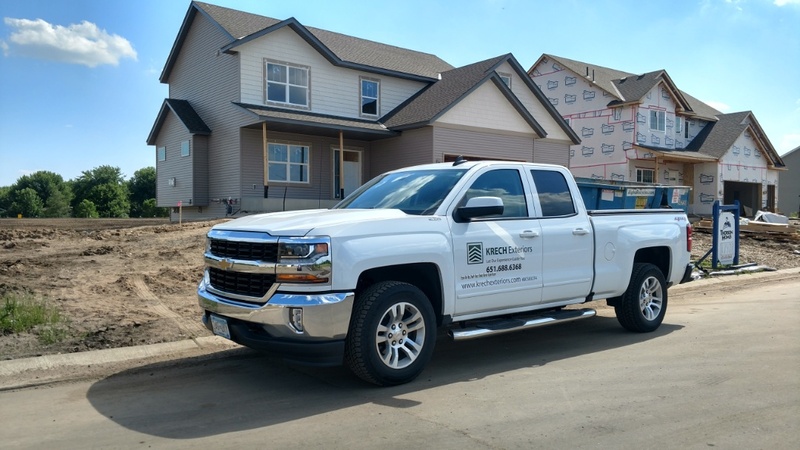 Installed new D-4 vinyl siding, color"Harvard Slate" and installed new vinyl B&B on front, color "Victorian Gray". Installed new aluminum soffit and fascia. New Vinyl siding job. Installed new D/4 Vinyl siding, color "Stone Mountain Clay" Installed new gutters. Installed Vinyl? shakes on garage gable. Installed aluminum soffit and fascia.